Valeggio veste il Vintage, the exhibition open-air market most-watched of the province of Verona. 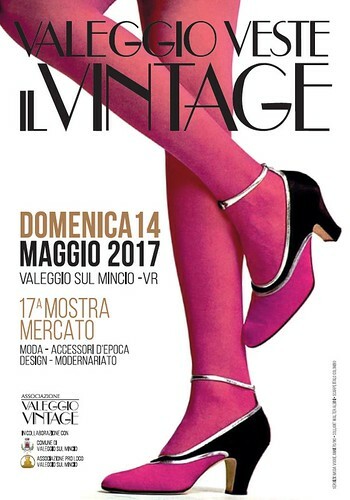 Over 50 fashion stand, antique accessories, design and modern explode in all their beauty in Piazza Carlo Alberto, outdoors, in the streets of the historic center of Valeggio sul Mincio (VR). A.N.G.E.L.O. will be present with its own stand.